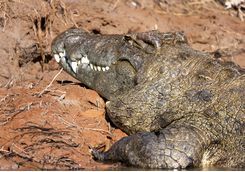 Isabel and Matt are here to help give you the inside track. 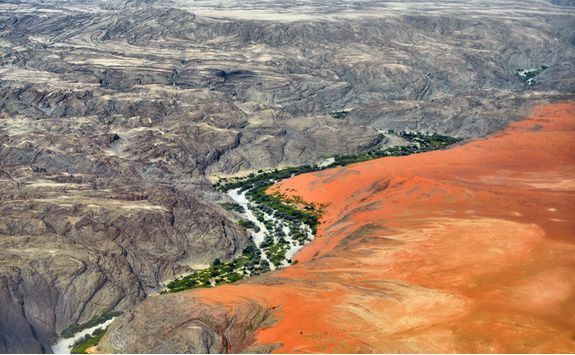 A flying safari along the Skeleton Coast takes in some of the most remote wilderness areas of Namibia, and this six-day itinerary remains one of Original Travel's favourite African experiences. 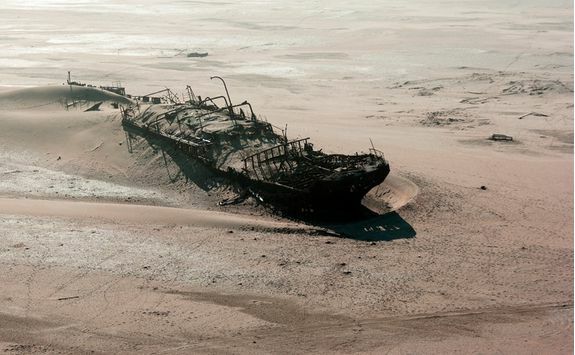 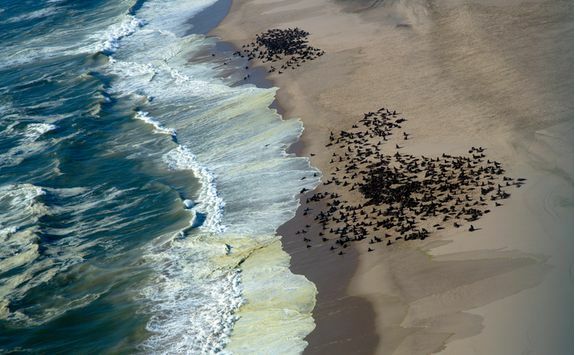 So named after the shipwrecks that litter the shore, the Skeleton Coast is the perfect place to hop in and out of a light aircraft, admiring seal colonies, diverse geological formations and - if you're lucky - the endangered black rhino, along the way. 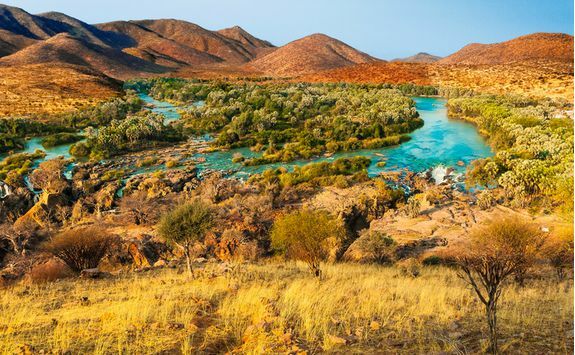 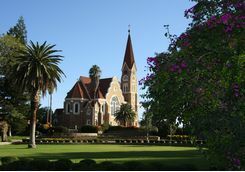 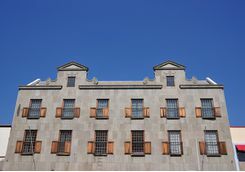 Depart from the UK on an overnight flight to Namibia, connecting through Johannesburg in South Africa. 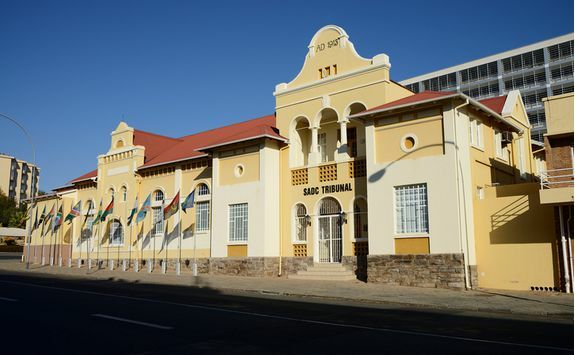 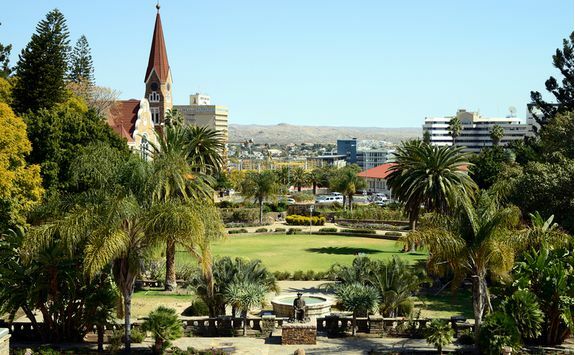 On your arrival in the capital of Namibia, you will be met by one of our local representatives who will privately transfer you to your first hotel. 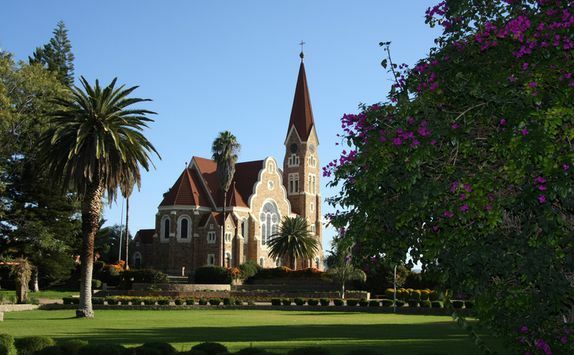 The drive will take approximately 45 minutes, so sit back and enjoy the drive through this charming city. 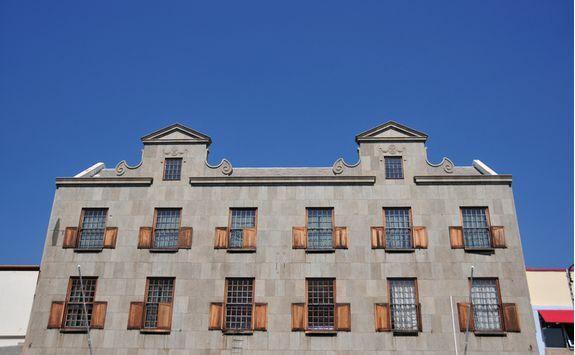 Spend the rest of your day freshening up from your flight and resting in your extremely comfortable room - the rest of the holiday will be full steam ahead starting from tomorrow! 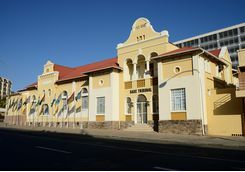 This morning after a delicious breakfast you will be transferred to Windhoek airport for a short flight to the Skeleton Coast, via Conception Bay. 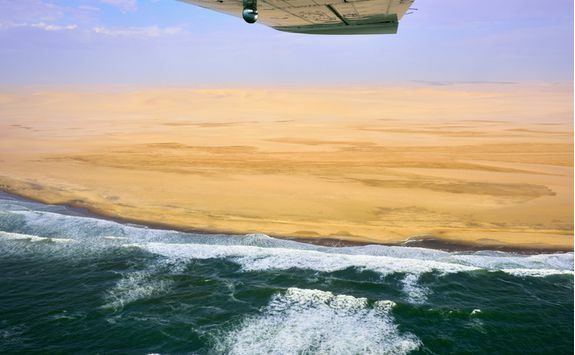 After landing and refuelling at Swakopmund, you'll continue with a low-level flight north along the Skeleton Coast to the seal colony at Cape Cross - where you'll land for a picnic lunch near the beach. 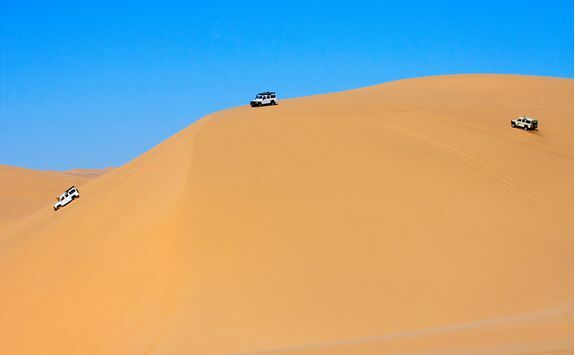 After lunch you'll get back in the plane and cross the desert to the Ugab Formations, a nearly lifeless 'moon landscape' of numerous black ridges in stark contrast to the white desert floor. 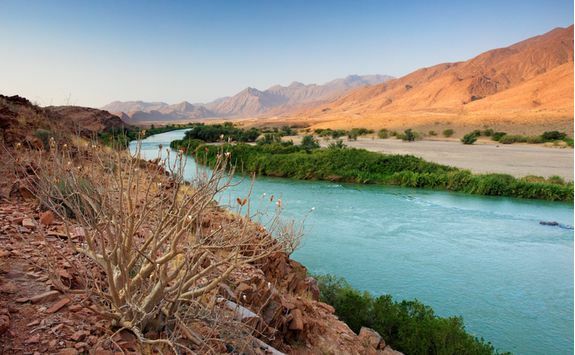 From here you'll proceed to Kuidas Camp in the Huab River Valley, where you'll be staying for the night. 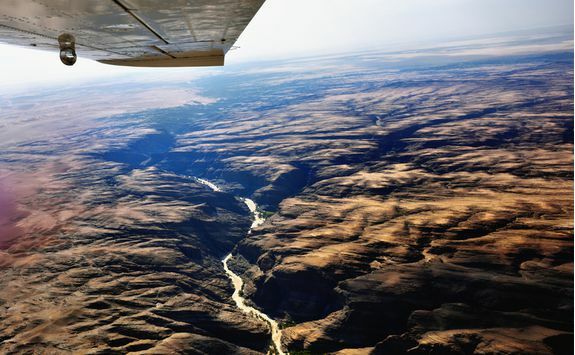 The Kuiseb Canyon, adjoining red dunes and the famous Eduard Bohlen shipwreck at Conception Bay make spectacular views from the air, so keep your eyes fixed firmly out of the windows during your flight. 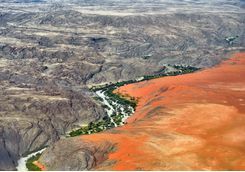 After breakfast you'll depart by Land Rover with your guide to explore the colourful red lava and yellow sandstone of the Huab River environs. 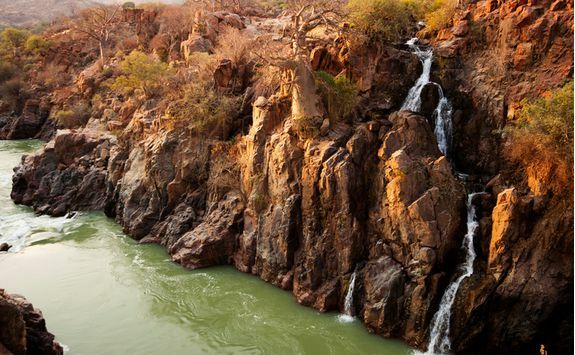 You'll also be introduced to the ecological aspects of this area with its wide diversity of flora and fauna. 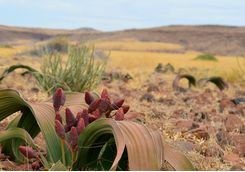 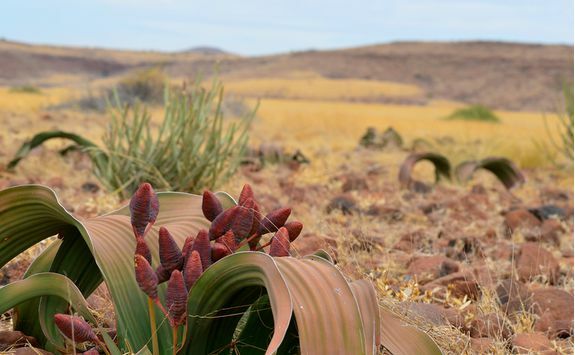 Amongst those your guide will tell you about is the Welwitschia Mirabilis, a tree that has been dwarfed by the rigours of the encroaching desert climate. 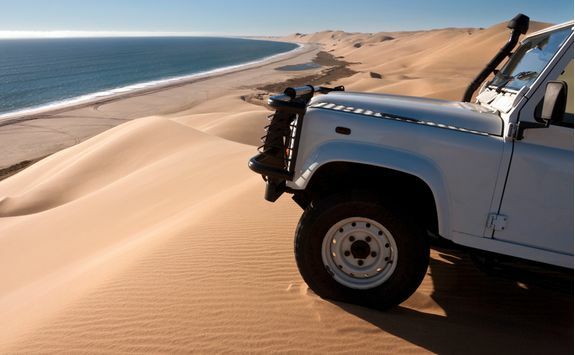 After the morning drive you'll have lunch at Kuidas Camp before saying goodbye and flying along the coast to the Skeleton Coast Park. 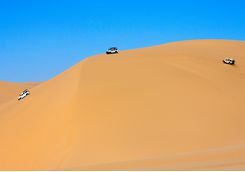 Once at the coast you'll access the huge dunes by Land Rover - which always proves to be a fun if bumpy experience! 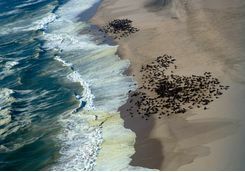 You will also visit the nearby beach, which houses a profusion of multi-coloured pebbles - consisting of agate, lava, granite and quartz - as well as a scattering of old bleached whale bones. 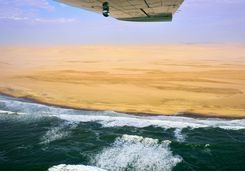 Returning to the aircraft you will want to look out from above and spot the most prominent shipwrecks along this part of the coast, the Montrose and Henrietta. 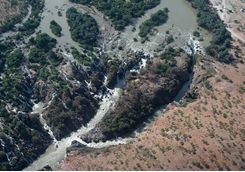 The flight will then continue north to the Hoarusib Valley (Schoeman Skeleton Coast Flying Safaris), in the Kunene Region, where you'll stay for the night. 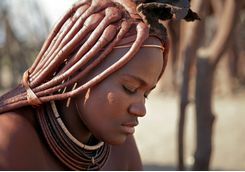 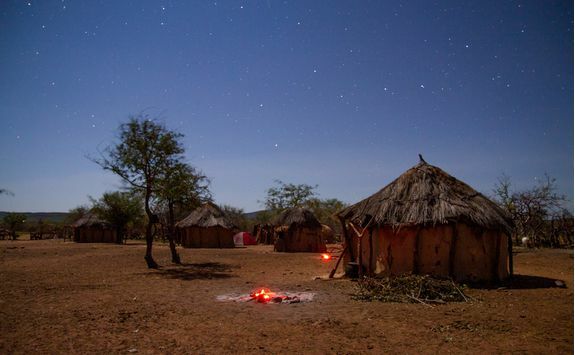 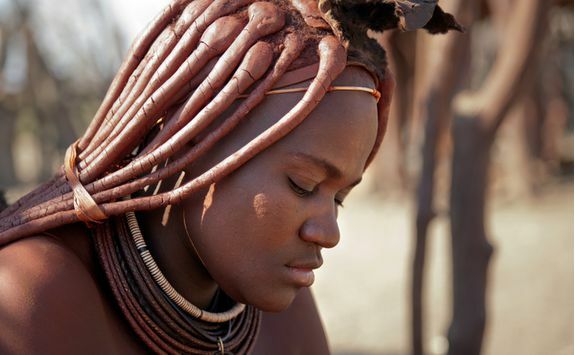 After breakfast this morning you'll embark on a scenic drive along the Hoarusib Valley, to visit a settlement of the nomadic Himba people. 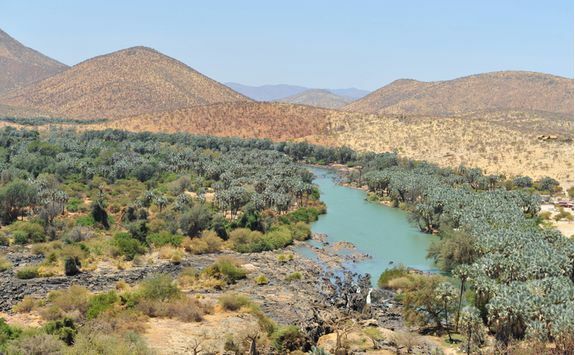 You might also be lucky enough to come across the desert-dwelling elephants who frequent this valley. 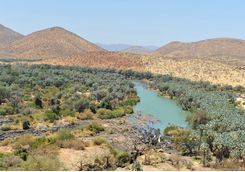 Remember though, these safaris are not just about the game, but more to experience the freedom, beauty and strange solitude of the area. 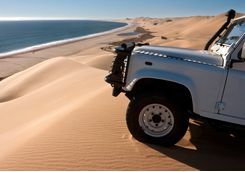 After the drive you will continue north along the Skeleton Coast by aircraft to the Kunene River, which acts as a border to Angola. 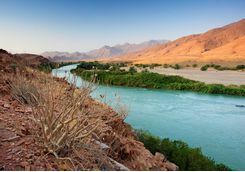 As this is the only permanent source of water in the whole region, a lush oasis has been created along its banks, which are also surrounded by rugged mountains and sand dunes - it's simply stunning. The Kaiu Maru shipwreck and pieces from other old sailing vessels also lie scattered along this part of the coast, so keep an eye out for them too. 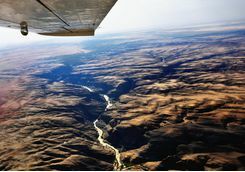 After landing at a nearby airfield, you'll take a scenic drive to our favourite lunch site on the river banks, and then continue through the mountains and dunes of the Hartmann Valley. 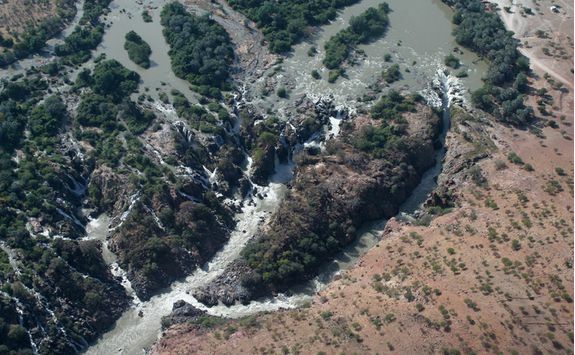 As the valley extends you'll reach the Kunene River, and Kunene River camp, your home for tonight. 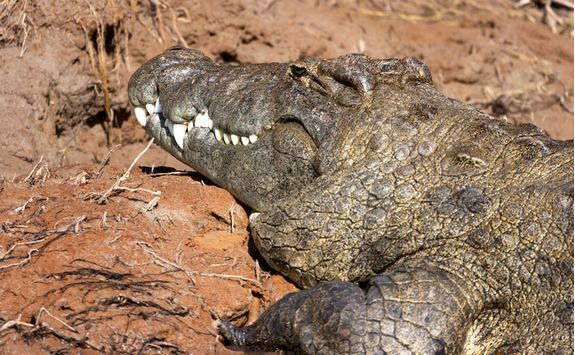 Take an early morning boat trip on the Kunene River today, and as it flows through the scenic desert landscape, observe endless bird life and possibly some crocodiles lazing on the banks. 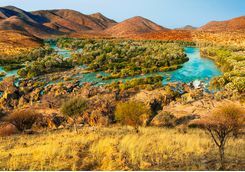 The birds here vary from aquatic species on the perennial waters, to endemic desert varieties, and those that inhabit dense riverine vegetation - so birdies, have your cameras ready! After lunch at the camp you'll fly back to Windhoek. 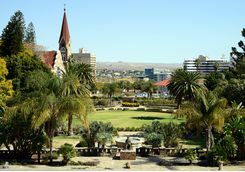 Sadly the trip is over and you'll be arriving at the airport in plenty of time for your connecting flights back to the UK. 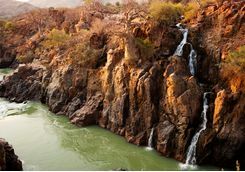 Isabel and Matt are our experts for this itinerary and as seasoned travellers they have the inside track on the most memorable adventures.